SupportEd provides skilled meeting facilitation services as well as technical writing skills. We work with our clients to determine their needs, bring groups of stakeholders together (e.g., administrators, teachers, researchers, policymakers), plan meeting agendas, facilitate interactive group discussions of issues, and help them reach consensus. From this shared experience, we produce white papers as well as practical guides which are supported by literature, define issues, and present recommendations for better serving ELs. 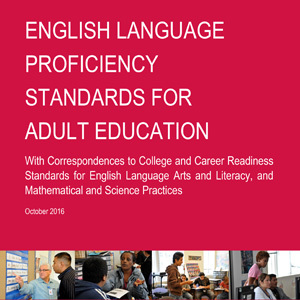 In partnership with the American Institutes for Research, we convened a panel to select a set of English language proficiency standards for adults and contributed to a forthcoming report. We are currently developing online professional development materials to support instructors of adult ELs in implementing the new standards. We facilitated an EL Advocacy Summit in which educators from around the United States met to discuss issues of advocacy for ELs and strategies for successfully advocating for ELs. 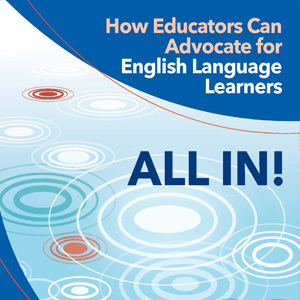 Drawing from the Advocacy Summit’s findings, we also worked with the NEA to produce the ALL IN! 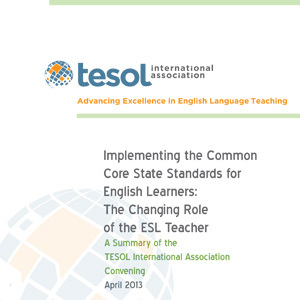 We helped facilitate a meeting of teachers, administrators, university faculty, and leaders in the EL field and wrote a synthesis of the discussion that focused on how to strengthen English language teaching professionalism and the connections between teacher training programs and K-12 schools. 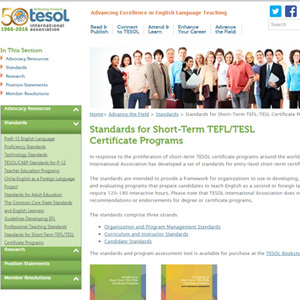 We summarized the findings of an expert standards committee to write standards, a literature review, and supporting documentation for short-term TEFL/TESL certificate programs. 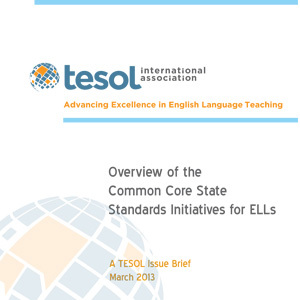 We contributed to a TESOL issue brief that provided an overview of the of the policies behind the CCSS and to outlined some of the initiatives in place to address the needs of ELs in relation to the CCSS. 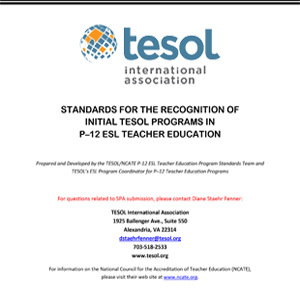 We revised these standards, used as the basis of accreditation of ESOL teacher licensure programs by CAEP, in 2010. 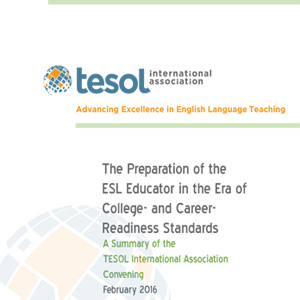 We are currently supporting TESOL and working with an expert group to revise them for a 2017 launch.